TunnelBear is a very simple product based on the freemium business model, so you can use it completely for free with 500MB of data per month. It also comes with great browser extension for Chrome or Opera. Premium version with unlimited data starts at $9.99 per month. Probably the biggest disadvantage is very limited choice of server locations. If you are outside of one of the 21 locations, your Internet speed will suffer a lot. Customer support is rather basic as well. 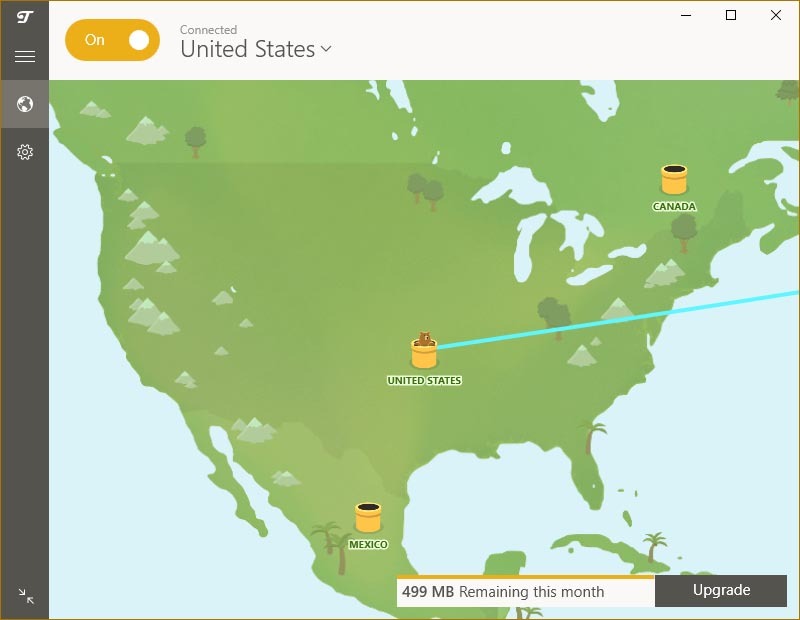 TunnelBear is a funky VPN solution from Toronto, Canada. The company was acquired by security giant McAfee in March 2018. The product was introduced to the market in 2011 and is very well known for being free with a limit of 500MB of data transfer per month (so freemium if you like), and having a super simple user interface. However, the server locations are quite limited as you can only choose from 21 countries. The product is available on multiple platforms including Windows, macOS, Android, and iOS. Besides that, there are also great browser extensions for Chrome and Opera. You can connect up to 5 devices simultaneously. Kill Switch (called VigilantBear) which automatically blocks any unsecured traffic if the connection to VPN servers drops. GhostBear which makes your encrypted data less detectable to your ISP or government. It basically hides the fact you are encrypting traffic through the VPN server. This is really useful considering some ISPs forbid the use of VPN services. Overall TunnelBear is a perfect product for basic users who don’t care about advanced features or server locations. If you are looking for a product to protect your privacy when surfing on public Wi-Fi, look no further. See the detailed features overview at the end of our review. By the way, TunnelBear also offers more free tools like Blocker (ad and tracking blocker extension for Chrome) and a brand new password manager RememBear (we love the name). One of the best things on TunnelBear is that you can download and use it completely for free. The only difference compared to a paid product is the data limit. Pricing & Discounts – How much does TunnelBear cost? As we already mentioned, TunnelBear is based on a freemium business model. Which means you can use the basic version for free, but it has limited data transfer of 500MB per month. If you tweet @theTunnelBear you can get an additional 1GB for free (however it’s not clear if that’s one-time or for each month). 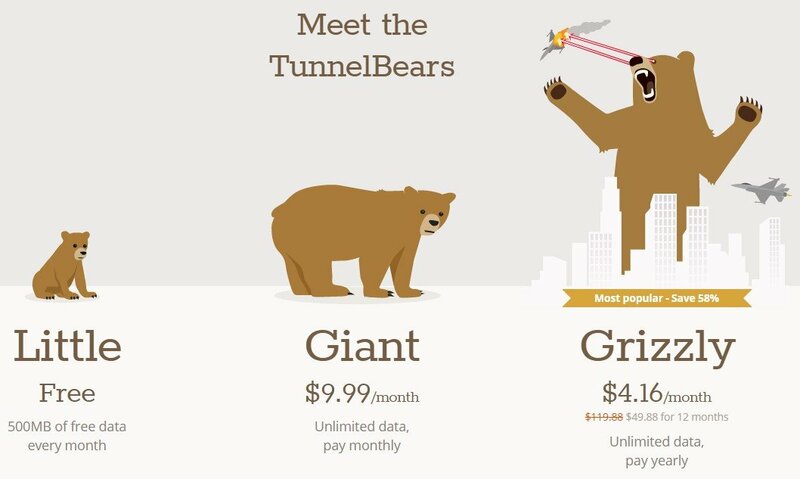 The difference between Little, Giant, and Grizzly is the unlimited data and subscription length (Giant is monthly while Grizzly is yearly). As you can see Giant is $9.99 per month, while Grizzly is $4.16 per month (looks like an ongoing promotion) but paid yearly, so at the checkout you will need to pay $49.88 for a full year. The checkout doesn’t have a discount coupon field, so we assume there are no discounts available. However, once you deplete your data quota, you will probably receive a private deal on your e-mail. User Interface – Is TunnelBear easy to use? The TunnelBear user interface is probably the coolest one we have ever seen in a VPN product. It’s not just super simple, it has also a great explanatory animation of what’s going on. 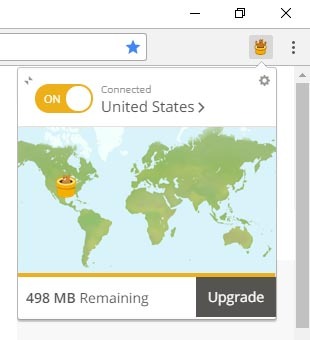 Once you start connecting to the VPN server the sheep will change to bear and start digging a tunnel. Once connected the bear will pop up from the pipe in the new location. It explains VPN functionality in a very simple way, so even non-tech people can understand it. All the interaction with the UI is extremely native, so even common users will have no issues using the app properly. If you are not a big fan of maps, you can also easily select the server location from the drop-down menu (next to the country name in the header). We also love the small details like changing the app icon depending on whether you are or aren’t connected, funny Windows tray notifications, and the overall tone of voice of the application. If you navigate to app settings there are just a few basic ones like launching TunnelBear on Windows startup, turning on/off app notifications etc. In the security tab, you can enable advanced features VigilantBear (e.g. Kill Switch) or GhostBear (hiding the fact you are using a VPN to your ISP). TunnelBear offers also a great browser extension for Chrome and Opera browsers. It has a very similar, but minimized interface compared to the desktop app. It’s perfect if you want to encrypt just your browser traffic (e.g. shopping or banking online). In terms of server locations, TunnelBear doesn’t offer many of them — only 21 countries which is a very low number compared to other VPN products. It shows that TunnelBear is targeting different user groups to HideMyAss for example which offers 190 countries. As you can see it’s not many and if you don’t reside in one of those countries your Internet connection speed may become slower. It’s also not clear to which city are you actually connecting. Does TunnelBear Support YouTube, Netflix, Hulu, HBO GO, Amazon Prime & BBC iPlayer? During our testing, TunnelBear worked well with YouTube, Netflix, Hulu, HBO GO, Amazon Prime, Google, and Facebook. Besides the low amount of server locations, another big disadvantage is a big impact on Internet connection speed. Basically, only one country (Germany) was kind of OK, but all others make Internet surfing almost impossible because everything loaded extremely slowly. As you can see in the table below, the benchmark with no VPN used was 12 ms ping, 24.85 Mbps download, and 9.66 Mbps upload. The fastest server was in Germany which was also the closest one to our actual location; still the download speed was almost half. Other locations were extremely slow and even connecting to them took many seconds. We couldn’t test Russia because it’s not being offered. In terms of customer service, TunnelBear unfortunately doesn’t offer much. There is a really standard online ticketing system and few FAQs. There is no live chat, no phone number, and not even an e-mail. On social media replies take around one day, which is not great. The low level of customer support is actually no surprise as the company is running a freemium business model and most TunnelBear users are using the free product. TunnelBear also co-operates with local law enforcement and provides personal information about the user when requested. TunnelBear may also transfer your personal information to a third party (when acquired for example). On the other hand it’s great — TunnelBear doesn’t collect your IP address on websites. All this together is quite a lot of collecting, storing, and potential transfering. There are definitely better options like ExpressVPN or NordVPN in terms of privacy protection. Conclusion – Is it worth paying extra for TunnelBear premium? 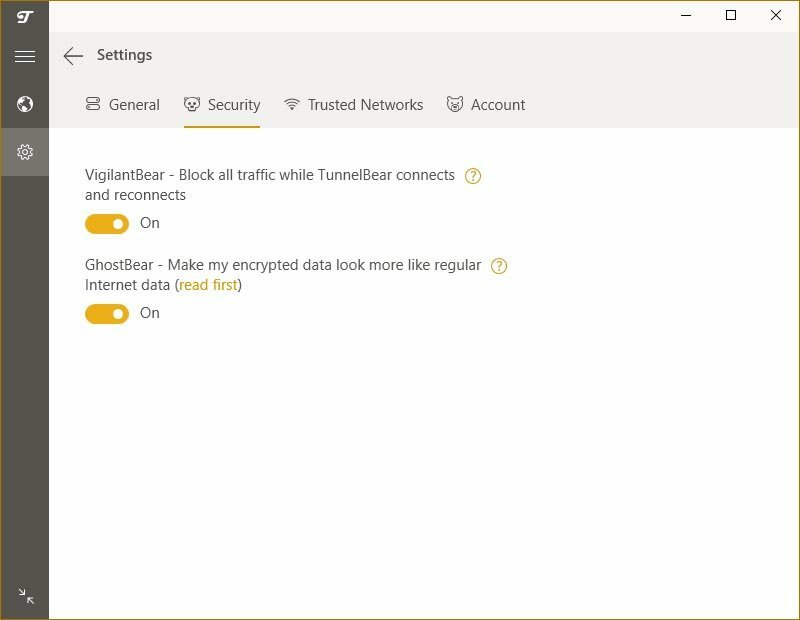 TunnelBear is a great simple VPN and perfect if you are looking for some extra protection on public Wi-Fi networks. However it’s better be in a country where one of the 21 servers is located, otherwise the speed of your Internet connection will suffer a lot. TunnelBear is also great if you have no experience with VPN products because it’s so easy and it’s free. You can keep the free version for checking your e-mails, online banking, and maybe reading some news occasionally. Another big advantage of TunnelBear is the really good browser extension which is perfect for such cases. But for everyday usage you really need to invested in the paid version with unlimited data. If you care about your privacy and/or need a wide variety of server locations, we recommend getting a more advanced product (see our VPN comparison).